Want to spend some quality time eating pizza, drinking beer? Drop by from Pizza Grande at our different locations. Quiet and private terrace awaits for you. 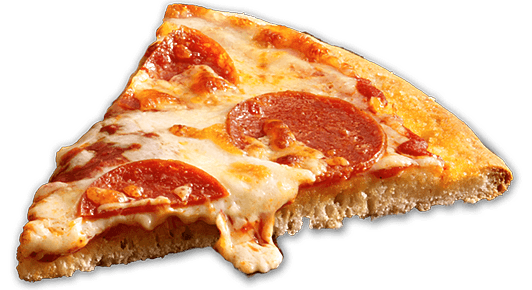 Prices for delicious pizza and fast service will not empty your wallet remarkably - our prices are reasonable. If you dont have the time to visit us, please order pizza one of the references below or call 655 70 25. Here You can have a look at opening times of our restaurants. Our big and tasty menu of pizzas. Tuna fish, ham, olive, sweet pepper onion, dill. Tuna fish, olive, broccoli, capper, garlic, tomato. Shrimp, mussel, crabstick, pineapple, mushroom, sweet pepper. Anchovy, olive, egg, onion, caper, tomato. Salmon, asparagus, leek, lemon, dill. Chicken, corn, pineapple, curry, tomato. Chicken, shrimp, blue cheese, peach. Chicken, chanterelle, asparagus, pesto, tomato. Bacon, ham, egg, bean, onion, sweet pepper. Ham, salami, ground meat, mushroom, bean, peach, onion, tomato. Ham, blue cheese, pineapple, peach. Salami, mushroom, olive, caper, sundry tomato. Meatball, mushroom, onion, garlic, pesto, tomato. Kebab, feta, olive, eggplant, caper, garlic, tomato. Chicken, kebab, meatball, mushroom, corn, bean, garlic, tomato. Mushroom, corn, onion, bean, sweet pepper. Blue cheese, broccoli, pesto, sweet pepper. Blue cheese, olive, caper, pesto, tomato. Mushroom, garlic, pesto, sweet pepper. Asparagus, brocoli, mushroom, sundry tomato, caper, pesto. Salami, olives, onion, garlic, jalopeno, sweet pepper. Ground meat, pineapple, jalopeno, sweet pepper. Chicken, pineapple, jalopeno, sweet pepper. Shrimp, onion, bean, jalopeno, sweet pepper. Meatball, bacon, onion, garlic, jalopeno, tomato. Kebab, feta, olive, bean, garlic, jalopeno, tomato. Cottage cheese, apple, pear, cinnamon, vanilla cream. Cottage cheese, strawberry, blackberry, chocolate cream. Cottage cheese, pineapple, peach, cinnamon, vanilla cream. 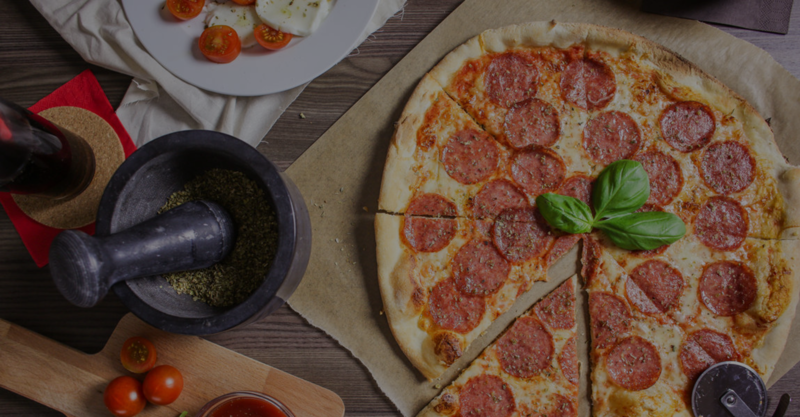 6 pizza components – Your free choice! 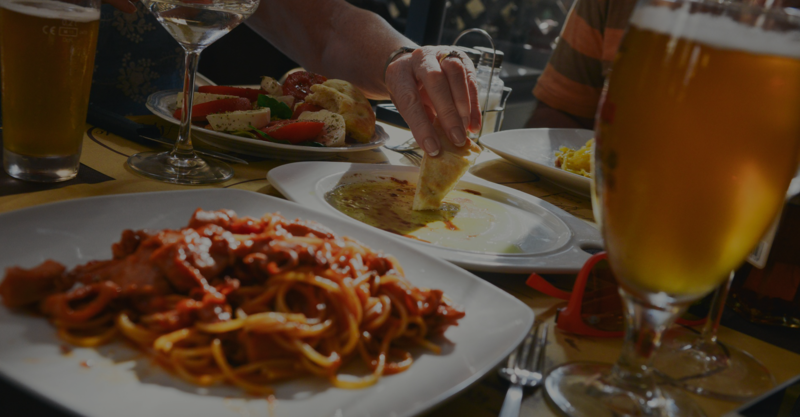 Here are all of our delicios Italian pastas and salads as well as menus of desserts and drinks. Bacon, jalopeno, onion, garlic, sweet pepper. Ground meat, mushroom, garlic, tomato sauce. Chicken, mushroom, garlic, cream sauce. Bacon, ham, olive, garlic, sweet pepper, cream sauce. Tuna fish, egg, garlic, caper, sweet pepper. Tuna fish, shrimp, olive, pineapple, cream sauce. Broccoli, blue cheese, olive, mushroom, pesto. Salmon, lemon, dill, cream sauce. Chicken, feta, corn, lettuce, olive, cucumber, tomato, onion. Feta, olive, lettuce, cucumber, tomato, onion. Tuna fish, anchovy, egg, olive, lettuce, cucumber, bean, onion, garlic, caper. Salmon, olive, lettuce, caper, onion, lemon, tomato. Ice cream, peach, whipped cream. Coca-Cola, Fanta, Sprite, Nestea, Cappy, Schweppes. Orange, apple, tomato, pineapple, grape, plum, cherry, blended juice. When coming to visit us with bigger company we suggest You to book a table so we are able to assure You a good service. Here are pictures of our delicious meals made by our satisified customers.